Local Businesses supporting one another! O’s + Roma team up for cool merchandise. There is no secret that Roma has been successful for over 65 years because of the support of you – our customers! Day in and day out, your loyalty and repeat business is what keep us going! 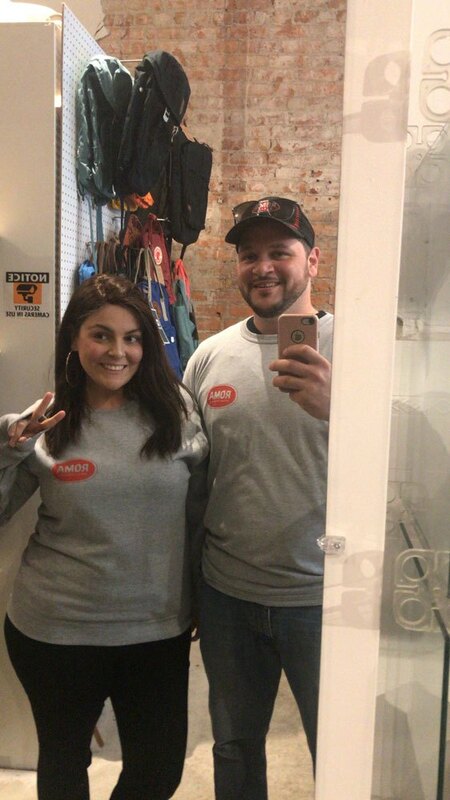 Customer loyalty has taken new shape a few weeks back when the local, hip clothing store, O’s reached out to partner on some unique branded merchandise. 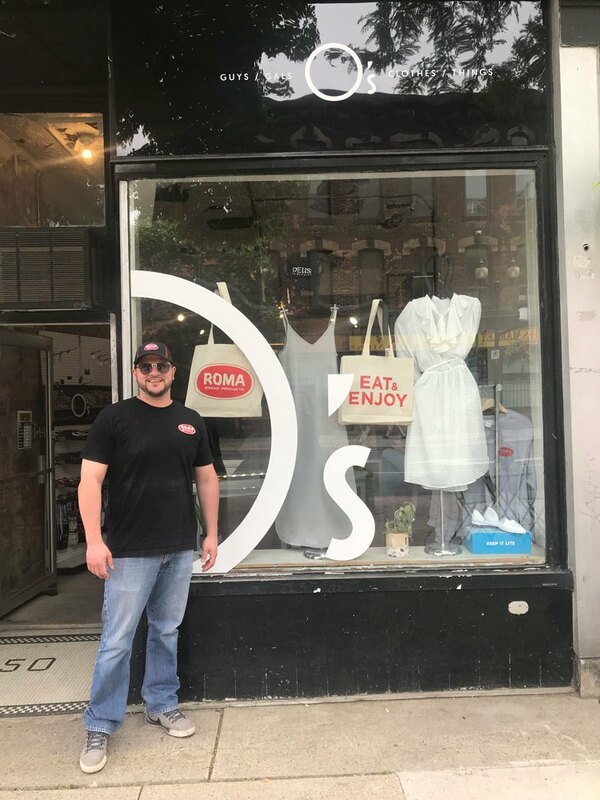 O’s is nestled in the heart of downtown and decided to partner with us to re-create the magic of the Roma logo on t-shirts, sweatshirts, and Phil’s favourite – the Roma tote. The tote happens to be the perfect fit for your laptop, pair of shades, and a quarter slab of Roma pizza! To get your hands on these cool items, visit O’s online at www.osclothes.ca or in-person at 150 James St. North to see what other cool merch they have to offer. Share Roma Bakery to the world!